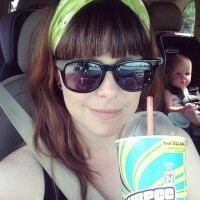 Got a craft supply stash to clean out? 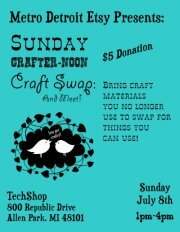 Metro Detroit Etsy is hosting a Craft Swap this Sunday (July 8th) at TechShop Detroit. Bring anything you want to destash, and trade it for some new supplies from 1-4! TechShop Detroit is located at 800 Republic Drive, Allen Park, Michigan 48101. For more information, visit the Facebook event page.